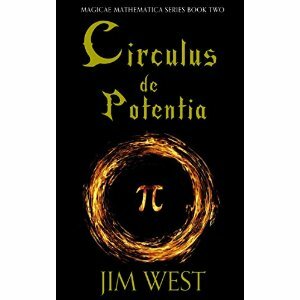 Jim West’s “Circulus de Potentia,” book 2 in the Magicae Mathematica series, takes the reader on an adventure as our young hero races to find an enigmatic wizard to help her crack the secret of a mysterious symbol, which is the Circulus de Potentia. As in the first book, math and Latin play an important role in the plot. For those with a math/history background, you’ll recognize Pythagoras – for those unfamiliar with him, you’ll learn! Alex’s journey is every bit as eventful as the first book, with her contending with wolves, a mysterious forest, and a perplexing maze. Fans of the series will be delighted to know that the Guardians and Archimedes have returned. West does an incredible job seamlessly incorporating mathematical ideas into the story so that even someone who isn’t interested in math can get it excited about it. The cast of characters is diverse and interesting, further allowing young readers to engage. Definitely a great read for young readers!